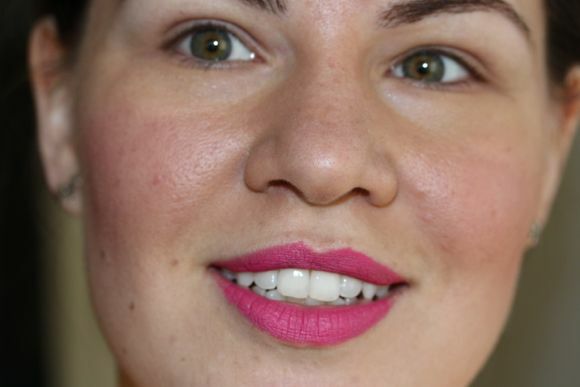 Looking for a lippie that lasts all day and requires minimal maintenance or touch-ups? Hourglass' Opaque Rough Liquid Lipstick has your lips covered. Hourglass promises 14-hours of wear thanks to its voodoo-ish properties and ingredients. Let's see how Ballet fared on my lips this past Thursday. I was honestly pleased as punch with Ballet and received lots of compliments; the colour served as a great contrast to my little black dress. The wand is pretty handy -- it's flexible and glides over the peaks and troughs of my lips; it's a good thing too, because this particular flat doe foot applicator does not discriminate against shape or size. The cilia-type bristles grab onto the product so well -- I suggest wiping off the excess product in order to start with a minimal amount, this allows you to build up the colour slowly. The first hour after application is crucial for getting this long-lasting formula to last. Opaque Rouge Liquid Lipstick binds to your lips and has a tendency to feel tacky, initially. 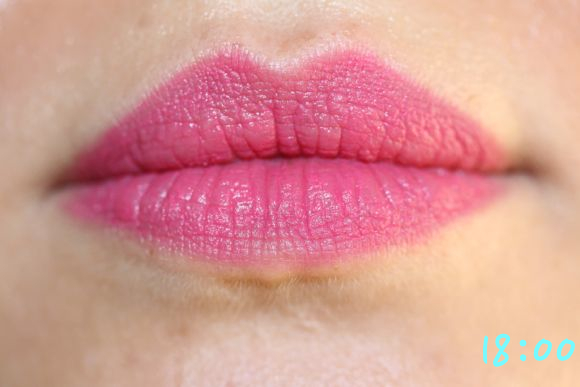 So, fight the urge to purse or smack your lips together -- doing so will transfer the colour and create a patchy finish. If you can be conscious of this, I promise any one of their nine shades will take you from morning to night. $28.00 USD / $42.00 AUS - I purchased Ballet in the States. 9 out of 10 bags – Love that it lasts, but I don't enjoy its ability to really dry out my lips. I've had a tube of Hourglass' Veil Mineral Primer since October, but I have yet to try it. Perhaps the time is nigh! What do you think? Will you add this to your makeup bag?